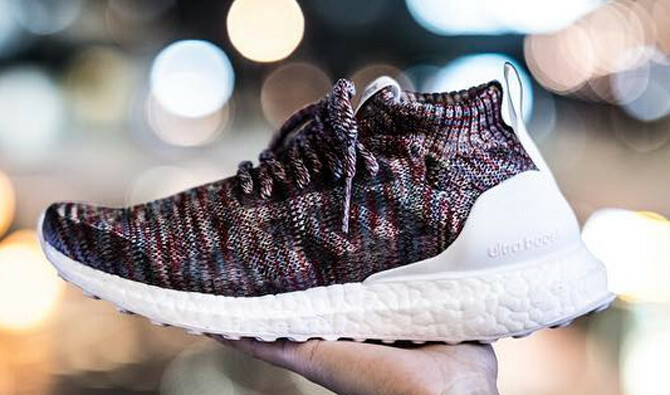 Fieg's Ultra Boost Mid project leaks. The hype on the adidas Ultra Boost doesn't look to be dying down anytime soon. 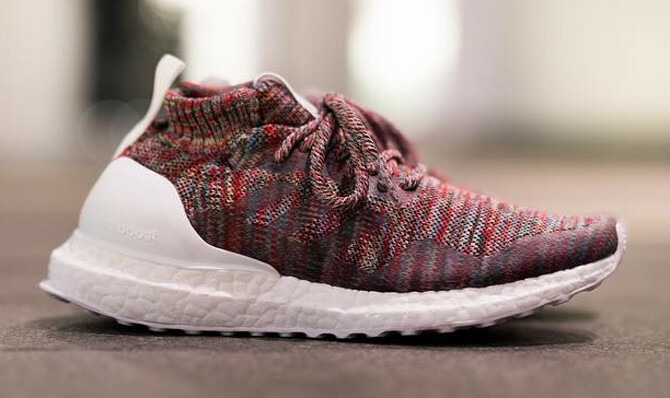 In fact, adidas is looking to breathe new life into the model with mid versions, among them this pair from Ronnie Fieg. 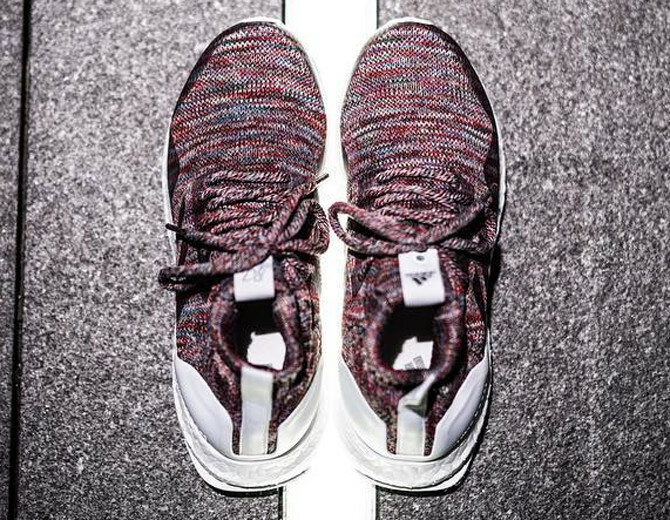 The sneaker, which first surfaced at Fieg's recent Kithland show, extends the model up with a sock-like collar and has one of the more colorful knit uppers to hit this shoe. This isn't the only Ultra Boost that Fieg has in the works—another similar silhouette in all-white was spotted at the aforementioned Kithland show. 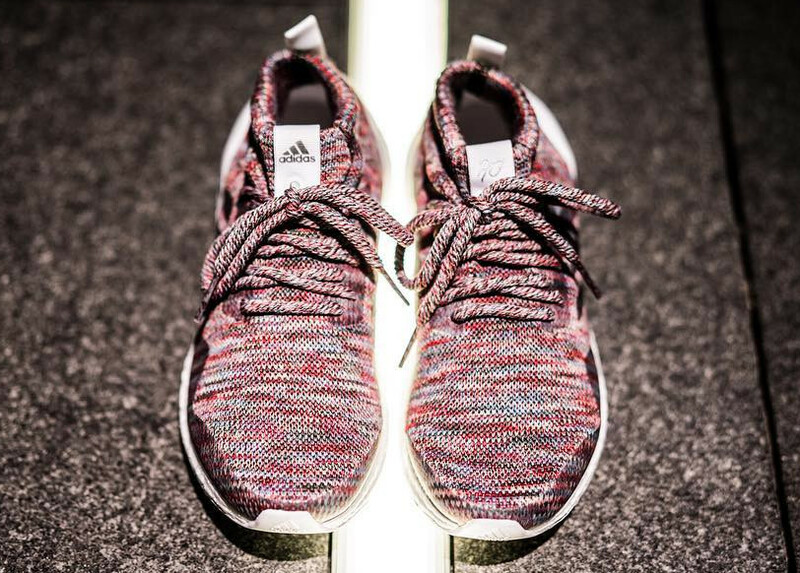 For now there is no sneaker release date information for this Fieg x adidas project.